There’s at least a lot of ways to clean your floor, but why limit yourself to the most painful and time-consuming methods? Ditch the old-fashioned mop and scrub brush for a powerful, hassle-free steam mop. If you laid out your entire life on a sheet of paper, you’d probably be impressed by the number of mops that you’ve gone through. 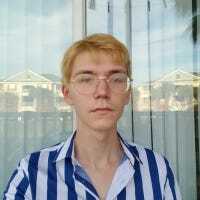 There’s a good chance that you bought most of those mops because that’s what was at the local supermarket, only to find that they just didn’t cut through the grease and grime at home like you thought they would. If that sounds family, it’s time to consider buying a steam mop. Not only are they more convenient than a regular mop, they’re also better at cleaning your floors. 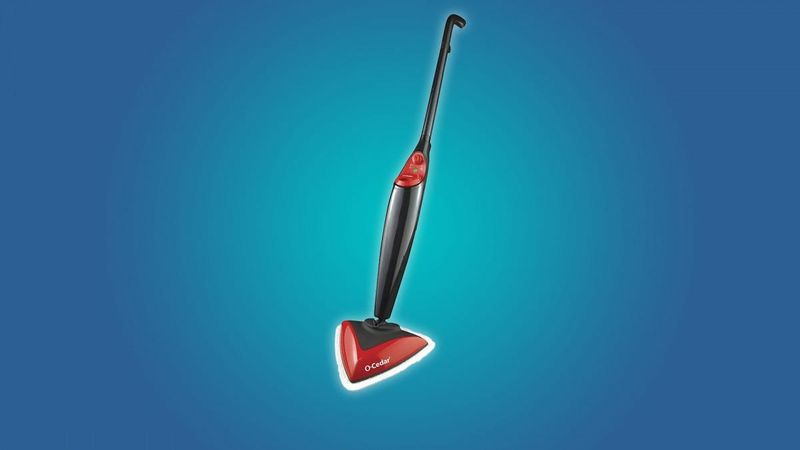 Steam mops look like a cross between a Swiffer and a vacuum. They work by pressing steam through a cleaning pad, which quickly lifts dirt and grime off of your floor. And that’s all there is to it. I wish that there was a more exciting explanation for how they work, but sometimes it’s best to keep things simple. Just keep in mind that steam can damage unfinished floors. One of my favorite things about steam mops is that they only use water, no chemicals or vinegar. You don’t have to worry about a powerful chemical smell assaulting your eyes and lungs every time that you decide to mop. If you happen to like the smell of pine sol and bleach you can spritz a little on the floor (just don’t put it in the tank, because the results range from “it’ll break” to “it’s dangerous”). If you want a “clean” smell when you mop (and hey, who doesn’t like a good huff of lemon-scented cleaner now and then), you could put a drop of lemon oil or the like on the floor or in a cheap aromatherapy diffuser. With the explanation and minor caveats out of the way, let’s look at our top picks for sparkling floors. There’s no point in mopping your floor if you’re not willing to sweep it first. You’d just be pushing dirt around. Thankfully, someone had the bright idea to make a hard floor vacuum cleaner that doubles as a steam mop. The Bissell Symphony can simultaneously steam and vacuum your hard floors, which cuts your cleaning time in half and eliminates your need for a dusty old broom. This makes the Bissell Symphony a great tool for both deep cleaning and day-to-day use. This steam mop comes with 4 reusable cleaning pads, which is more than enough to use it throughout the week. The Symphony would be a great option for people with a lot of kids, pets, or messy roommates. But there are some downsides to such luxury. 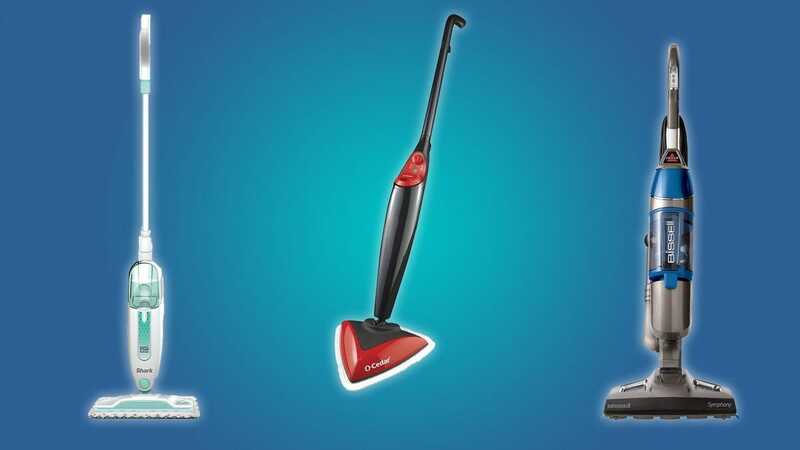 The Bissell Symphony is a lot bulkier than other steam mops because it doubles as a vacuum. It can’t swivel, it can’t pivot, and it can’t glide beneath your furniture. If you decide to steam and vacuum simultaneously (why wouldn’t you), then you’re probably going to be sucking up some moist dirt and debris. To avoid any gross crusty buildup inside of your vacuum, you might want to empty and rinse its reservoir after each use. Oh, and you can even steam and vacuum your carpet with the Symphony, but it won’t work nearly as well as a traditional vacuum or carpet cleaner would, so we’d suggest keeping this little wonder off the carpet. The SharkNinja Lift-Away Pro is a powerful steam mop that doubles as a pocket steamer. Like other high-end steam mops, the SharkNinja has three power settings to cut through any light spills or heavy buildup. But you can also detach the center of the SharkNinja to clean curtains, walls, grease-covered kitchen cabinets, and showers. This is a great option for anybody who specifically wants to steam clean all surfaces and fabrics in their home. It’s nice to know that you can cut through the grease buildup in the microwave without any chemicals or elbow-grease. The SharkNinja only comes with one cleaning pad, which is a bummer. You can buy more, and you’ll have to if you want to use this thing often. The Bissell PowerFresh 1940 is a straightforward steam mop that’s great for both every-day and deep cleaning. It comes equipped with high, medium, and low steam settings so that you can find the appropriate amount of steam for any room (or stain) in your home. Behind the cleaning pad lies a flip-down scrubber, so you can brush tough buildup on your floor. 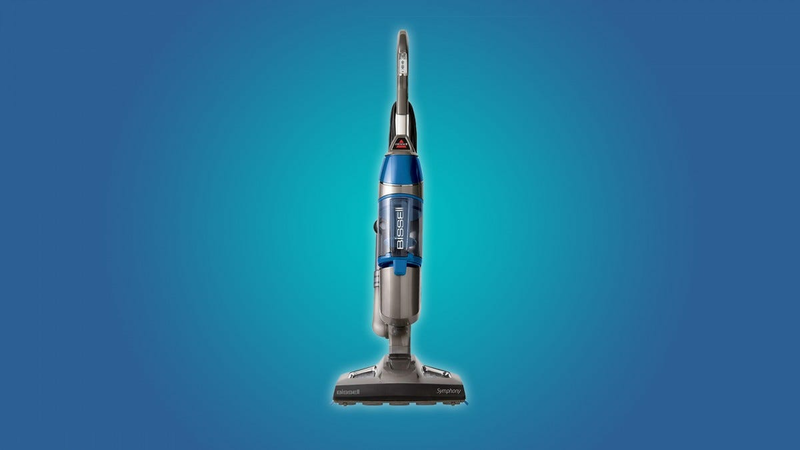 Like a Swiffer, the PowerFresh 1940 can swivel and pivot, so it’s great for getting under furniture or in corners. This is really the everyman’s steam mop. You can expect the PowerFresh 1940 to do its job well without much hassle. Because it has a little brush, it would be a great option for tiled rooms or textured hard floors. It only comes with two cleaning pads, but that should be enough for most homes, even if you have a pet. If two’s not enough, then you can buy more for $10. The PowerFresh 1940 also comes with a carpet glider, but you shouldn’t expect it to do more than pick out a few stained or crusty carpet spots. 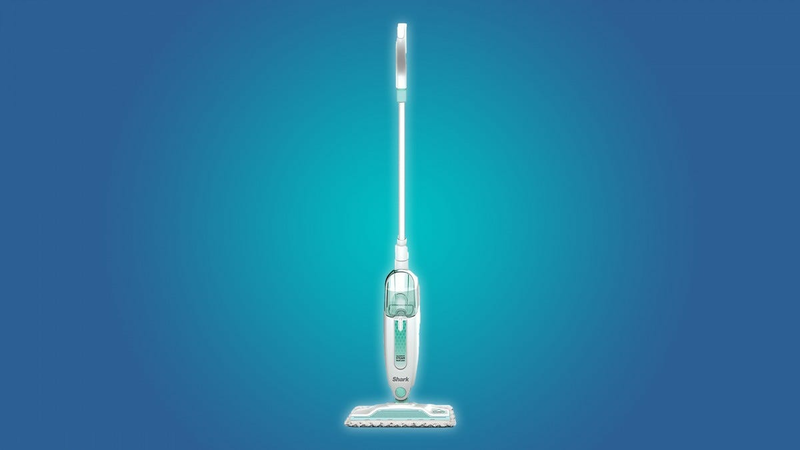 The O-Cedar steam mop is a compelling alternative to the Bissell PowerFresh 1940. Its unique triangle shaped head makes it easy to steam in the corners of your home, or between the feet of your sofa. And instead of having three pre-set steam settings, the O-Cedar has a knob that makes it quick and easy to dial in your desired amount of steam. Like the Bissell PowerFresh 1940, the O-Cedar comes with two cleaning pads and a carpet glider. So… What makes the O-Cedar different from the PowerFresh 1940? Well, the Bissell doesn’t have a flip-down scrubby pad, it doesn’t have a rectangular head, and it doesn’t have pre-set steam settings. It would work best for very fast, evenly done mop-jobs. Oh, and extra O-Cedar cleaning pads cost $2 less than the PowerFresh 1940’s, so there’s that. The Shark Steam Mop is a no-frills, inexpensive steam mop for day-to-day cleaning. It’s lightweight, it can pivot and swivel under your furniture, and it’s small enough to fit in a laundry room or broom closet. Although the Shark doesn’t have any adjustable steam settings, you can still expect it to get the job done with gusto. 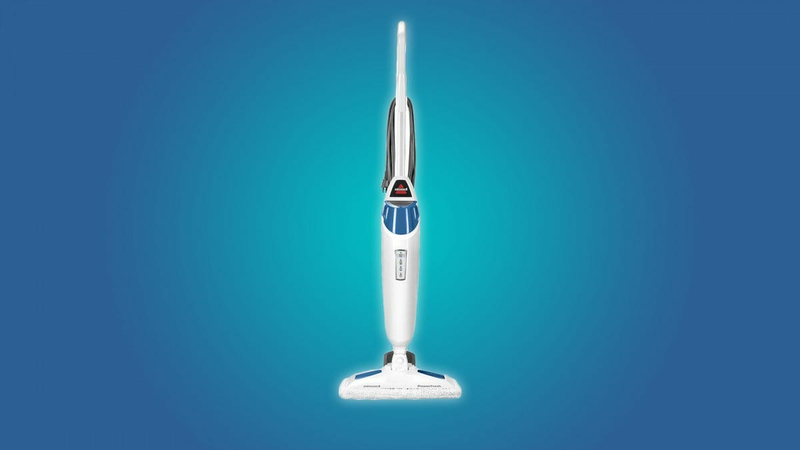 The Shark isn’t the most heavy duty steam mop, but it’s great for day-to-day cleaning. You won’t have much luck deep cleaning the space between your tiles with it, but this steam mop should save you a lot of elbow grease in the kitchen and the living room. 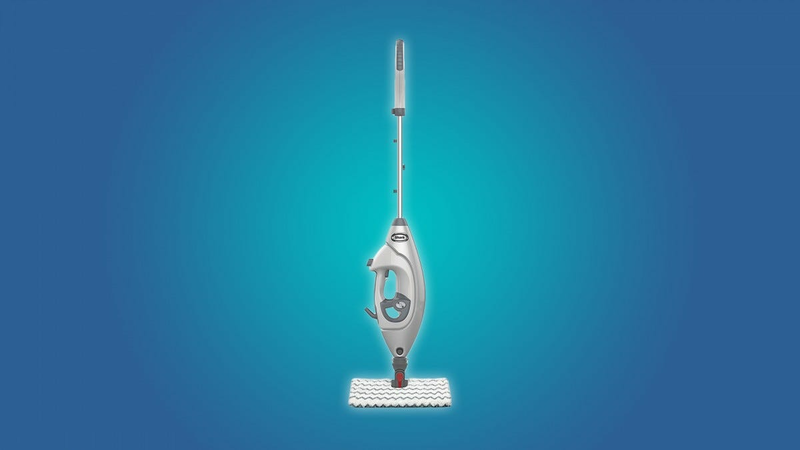 Since it comes with four mop pads, you could reasonably use the Shark multiple times a week, unlike some other steam mops that only come with one or two pads.